my grandma was cool grandma she passed away 1985. 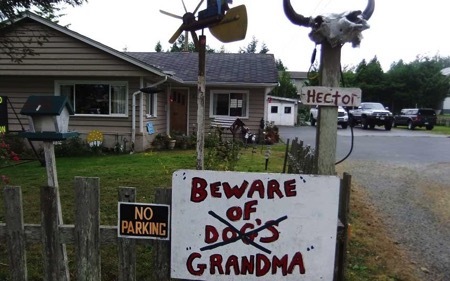 If you want to meet bad Grandma then you have to go all the way to Vancouver I am afraid but I have a feeling the idea of the sign to is avoid going anywhere near where they keep her, tee hee! Bad Grandma. Sit, stay! Down!